The Courtyard House located in the heart of Claremont dates back to 1980. 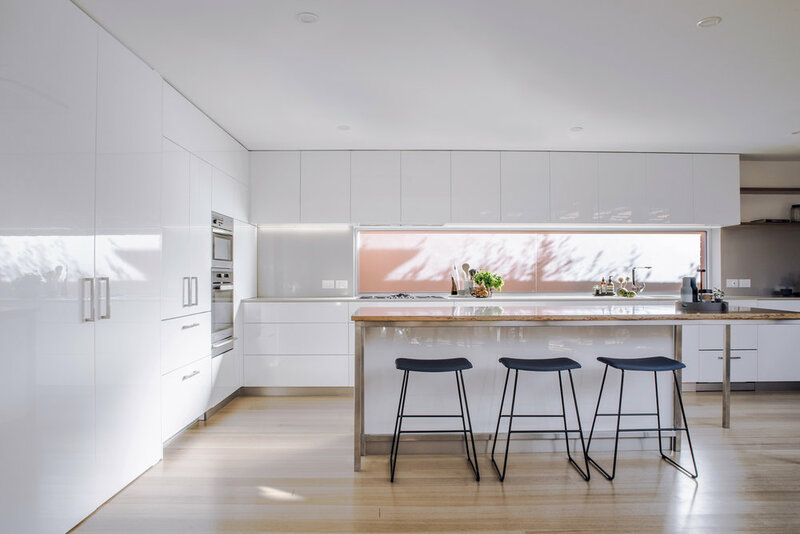 The home would have been extremely progressive for its time however a lack of connection between the kitchen and the other living areas prompted the clients to engage Staple Design to assist in their renovation. An open plan layout was achieved by knocking out the wall between the lounge and the kitchen providing views through to a central courtyard space. The previous connection to the laundry was also bricked up to allow for a new butlers pantry. CLICK HERE FOR BEFORE PICS!